Thankyou so much for the cal.. I am enjoying it still.. 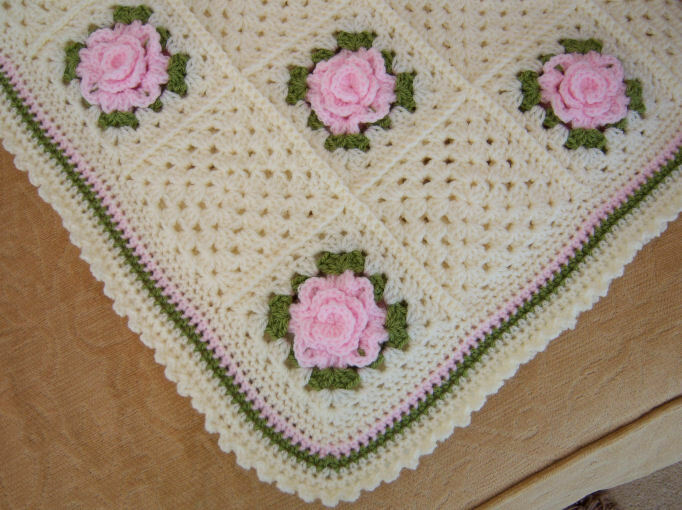 There are so many wonderful projects your followers have made using the flower, that I just have to keep making them LOL..
Will there be another Cal in the pipe line soon ??? My fingers have been itching to start on these myself but I have a bazillion things I have told myself I have to finish up before I can start. I know once I get going on them that I'll be making them like crazy as well. They are all lovely. Have a marvelous weekend !! Such beautiful projects. That makes my hands itch. 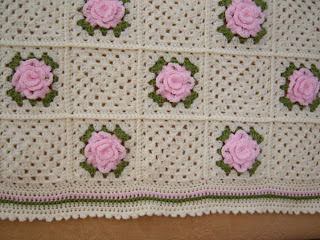 I have to finish a bed cover ( bedspread) first though. 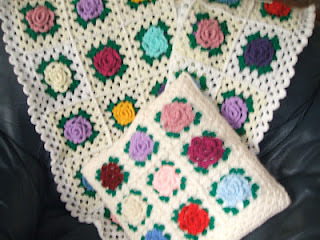 I am making it with granny squares and I only have to do two rows and then a scallop around it. 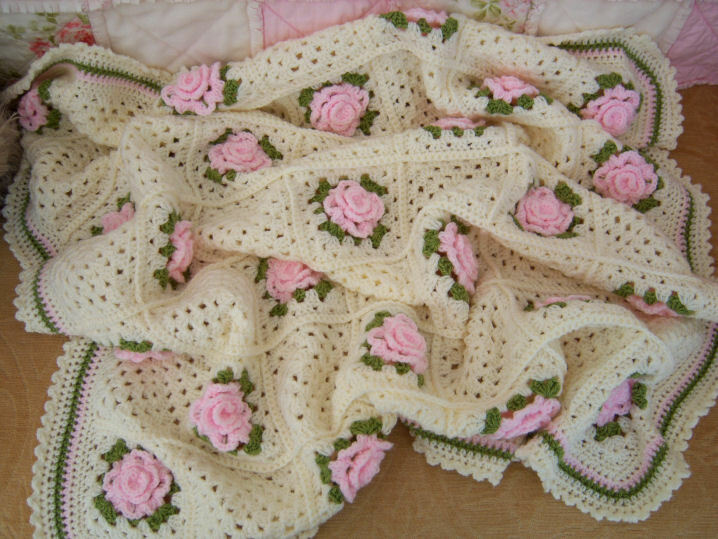 Where can I find the pattern of the rose grannies ?? I would love to join in the fun. Have a wonderful day and thank you for your lovely visit ! Thanks for showcasing me again Astri! You are soooo sweet! 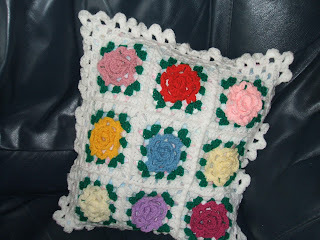 All of these crocheters have made beautiful works with your granny rose pattern. 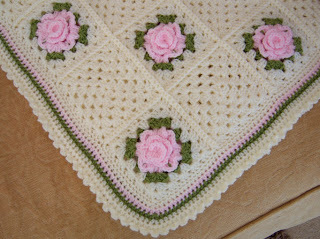 I just love the granny rose...it's fun to crochet and it looks beautiful. 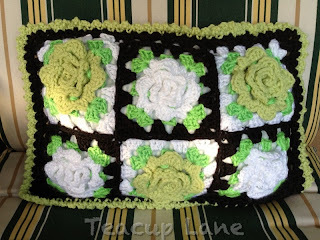 I'm fighting the urge to use the granny rose on the back of my flag pillow cover I'm making now. I may use it again. At least some of the squares. I laughed when I read your Cracker Barrel comments on my last post. I think we are sisters because we are so alike. I'm taking a coffee break on my porch this morning before it gets too hot (forecasted 100 degrees here today!) Hubby is helping me re-organize my craft room area. That's my priority today. Have a lovely weekend. 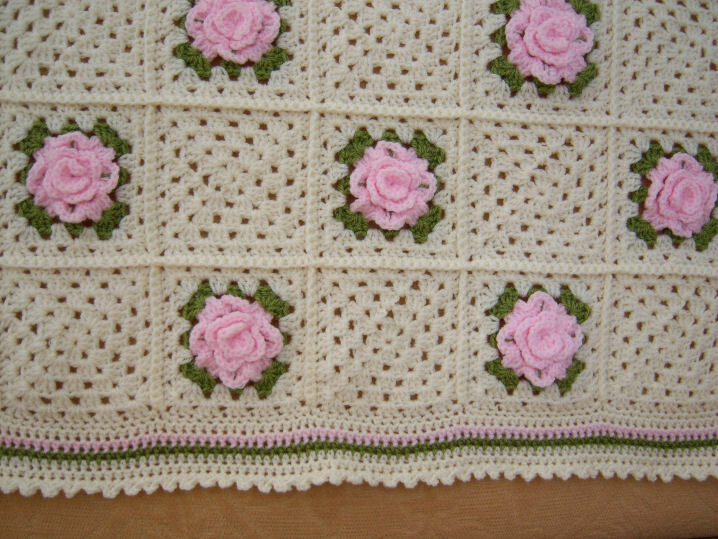 Wish you lived closer we could visit and have a good old crocheting time. Thank you all for your comments! I am so proud of all these lovely crocheters. Such creativity and talent! your rose blanket is wonderful.beautiful ponchos. Hola Astri estos trabajos tan hermosos pero la manta natural y rosa se lleva mi amor es preciosa!!! besitos.